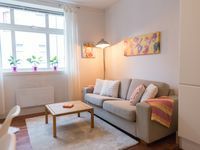 Property 10: Newly Renovated Whole Apartment in ÅLESUND! Central modern penthouse apt w / parking incl. Property 13: Central modern penthouse apt w / parking incl. Unique and spacious penthouse apartment! Property 20: Unique and spacious penthouse apartment! Family Friendly, Fishing, Close aquatic center, Great scenery. Property 21: Family Friendly, Fishing, Close aquatic center, Great scenery. Two-Bedroom Apartment with parking incl. 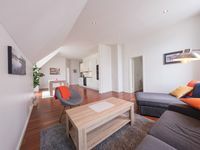 Property 25: Two-Bedroom Apartment with parking incl. Very nice apartment! Centrally located. Spotlessly clean. Well stocked with kitchen implements, dishes, etc. We especially appreciated the coffee, the washing machine, and the reserved parking spot. It was the perfect place for our family of three. Thanks for a great stay! This property is very clean and the owner is very responsive to any questions. The location is central and a perfect base to begin your adventures..